South Kilkenny Cycle Loop - Trail Kilkenny | Get Outdoors! Mainly country roads crossing N and R roads. Caution advised when entering towns. Starting point: The Parade, KilkennyvLeaving the Parade cycle down the hill and turn right at the traffic lights onto Rose InnvStreet past the Tourist Office. Just before Johnís Bridge turn onto Canal Walk along thevRiver Nore. Cross Ossory Footbridge and continue up ramp to the ring road(N10) followvcycle lane for 300m. At the roundabout take 3rd exit (R712), proceed for 200m andvtake the right turn at the petrol station onto Sion Road. Follow this road for 6km and take the left turn to Dunbell and continue for 4km until you come to the Dunbell cross roads. Turn right and continue straight for 3km until you meet a T-junction with the Gowran Road. Turn right and follow the road for 4km to the village of Bennettsbridge. In Bennettsbridge cross the bridge and take an immediate left past Nicolas Mosses Pottery. Follow this road for 9km to Ennisnag. At the T-junction turn left and cycle 2km to the village of Stoneyford. As you come into the village, take the first right and cycle uphill in the direction of Kells. Passing Kells Priory, turn right at the crossroads in Kells and continue across the bridge. 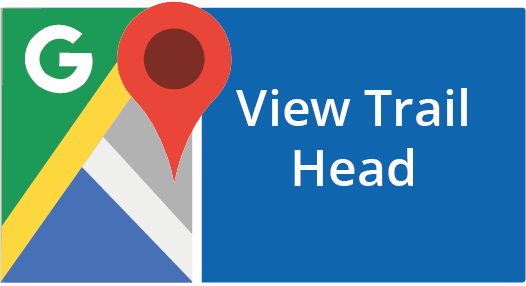 Take an immediate right and travel 2km along until you take a left turn. Cycle for 2km and take a right at the next T-junction. Follow this route for 3km and take a right at the next T-junction. Turn right at the T-junction and continue to the next T-junction and take a right. After 2km you meet the N10 at Danesfort, turn left in the direction of Kilkenny City. Cycle for 8km and straight through two roundabouts, continue into town and at the next roundabout past the petrol station take the first exit. Follow the cycle path for 400 metres and take the second exit off the next roundabout. Continue along Nuncio Road until you come to a T-junction and take a left back to the Parade. 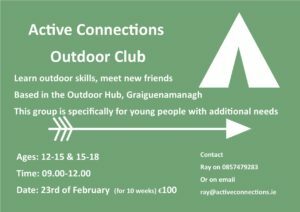 Join the Active Connections Outdoor Club Learn outdoor skills and meet new friends!